Restore harmony and balance through yoga with Hatha-trained instructors this September and October, as part of our unique Holistic Wellness Programme. 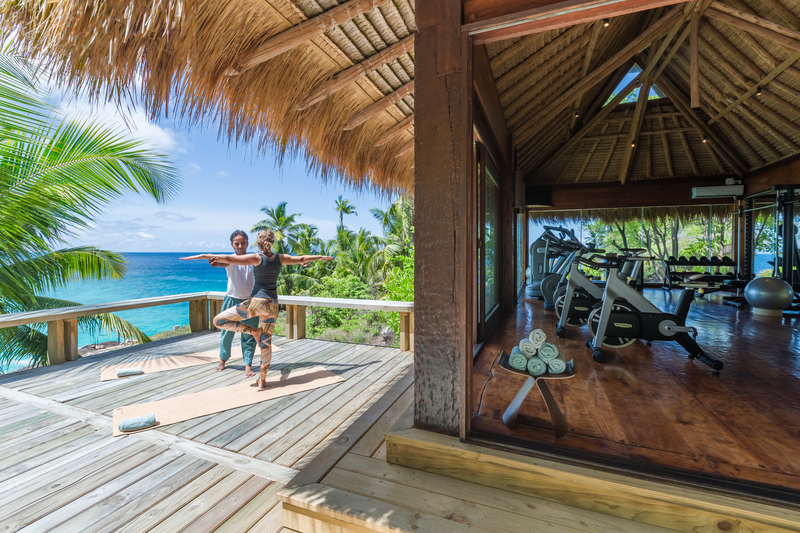 Begin each day on North Island with a complimentary 1-hour yoga session every morning. Private classes are also available as an optional paid extra at anytime and anywhere on the Island, from the privacy of the villa to the comfort of the air-conditioned Gym. From beach yoga sessions on the white-sand shores of West Beach to SUP yoga sessions on the calm, crystal-clear waters around North Island, the choices are many and varied. For a more energetic workout, the Gym offers state-of-the-art Technogym equipment for cardiovascular and weight training. Overlooking the aquamarine waters of the Indian Ocean, the facility incorporates a circumference of glass, framing some of the most spectacular views on the Island.